As an extension of the previous article on Cross Forest (or Cross Domain) Kerberos Authentication this article examines how to configure cross forest authentication and delegation when users are accessing an arbitrary website URL. In this scenario we have the same two Forests as in Part 8. 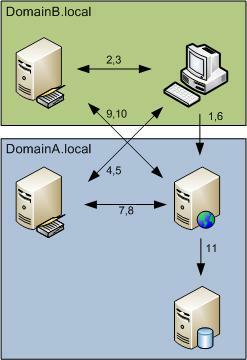 Forest A (domainA.local) contains our resource servers (web server and SQL server). 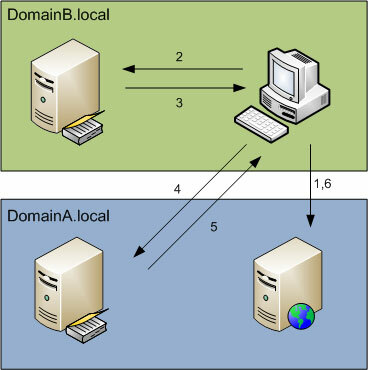 Forest B (domainB.local) contains our users and client PC. 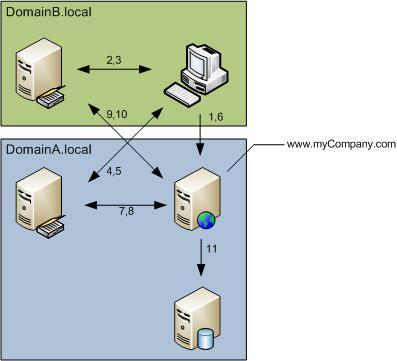 Users are going to access a web site at www.myCompany.com, a domain that has no direct relationship between either the resource domain or user domain. Companies might need to implement this type of setup when they wish to have a single URL that users on either the internal network or externally can access. Alternatively I have seen scenarios where companies what to have a portal address (e.g. intranet.company.com) that then reverse proxies a number of internal web applications, and Kerberos authentication and transparent delegation to the proxied web applications makes for a simplified user experience. Wireshark/Ethereal packet captures of the actual traffic are available for download (rename to .pcap). I’ll explain the packets to look for a bit further down in the blog post. Add the website www.myCompany.com to the Intranet Security Zone of the user’s computer. Recall from Part 3 that IE will not attempt Kerberos authentication unless the website is in the Intranet Security Zone. This can be done manually, via the IEAK, or using Group Policy. I'm finally getting around to writing this section on IIS and Kerberos. This initial post will cover the basics of a cross-Forest Kerberos authentication scenario. In the next few posts we'll cover more complex situations including delegation and ISA Server publishing. The basics of cross-domain Kerberos authentication (in the same Forest) are the same as a cross-Forest scenario, so I've covered the cross-Forest scenario in these posts, and steps that are unnecessary for a cross-domain scenario can be omitted. EDIT: Forest trusts can only be created when using a Windows 2003 functional level Forest. The Forest functional level can be raised using the Active Directory Domains and Trusts Admin MMC tool. Before you can raise the Forest functional level, you need to raise the Domain functional level of all Domains within the Forest to Windows Server 2003. 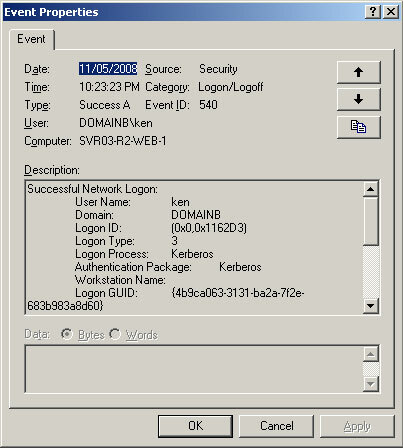 If your Forest functional level is Windows 2000, only an external trust can be created, which does not permit Kerberos authentication. I was just trying to install SCVMM 2008 Beta 1 today. When installing the SCVMM 2008 Server, it failed installing the WAIK prerequisite asking me to instead install this manually. Attempting to run the WAIK msi directly from the prerequisites folder (\prerequisites\WAIK\1033) failed asking me to "Insert the WAIK setup CD". I think this problem might be caused because I'm install SCVMM 2008 from a DVD. I copied the files from that folder onto the hard disk of the machine, and then attempted to run the MSI again, and WAIK installed successfully. 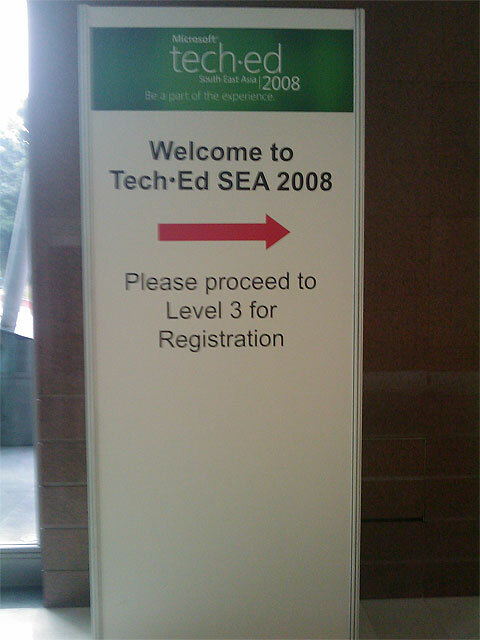 Last week I was in Seattle attending the Microsoft MVP Summit for 2008. Certainly this year's summit was much better organised than some previous summits in terms of interaction with the IIS product group. Whilst we've seen a bunch of interesting stuff coming out from the product group over the past few months (WebDAV, MSDeploy, Powershell Provider, Bitrate Throttling, Admin Pack - including the Config Editor). However over the next few months expect to see a number of significant additional releases. 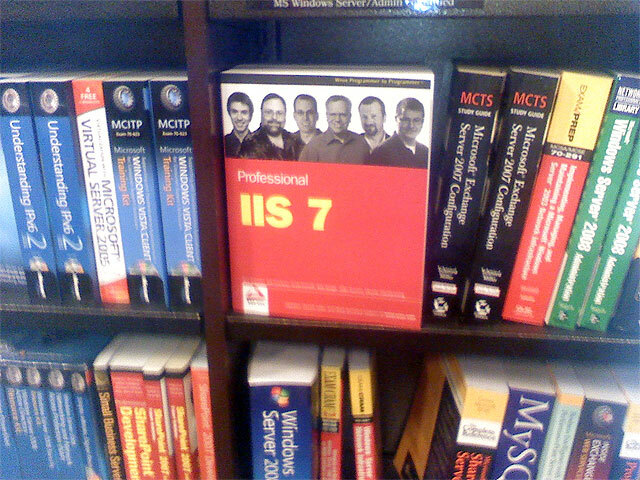 Whilst I'm probably not at liberty to disclose what these are, think about the major market that IIS 7.0 has gone after (e.g. hosting with Apache) and some of the major features and modules that the competing platform has that IIS 7.0 doesn't currently, and you'll probably be pretty close to the mark in terms of upcoming features. In addition to getting the inside scope from the product group, the MVP Summit also offers opportunities to talk and network with other MVPs, as well as an executive briefing. 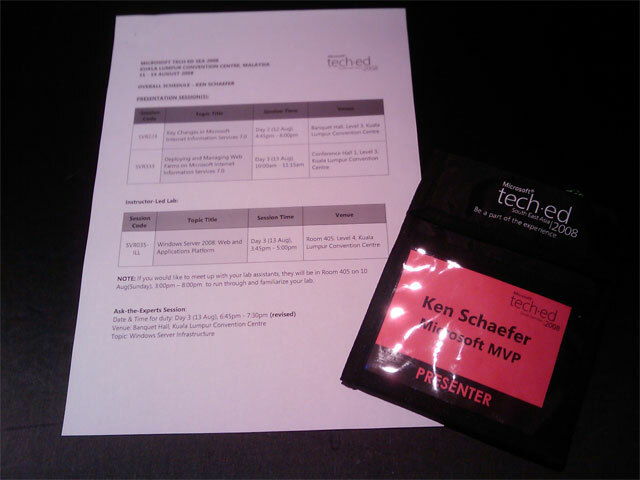 This year Ray Ozzie and Steve Ballmer came by to talk to us. 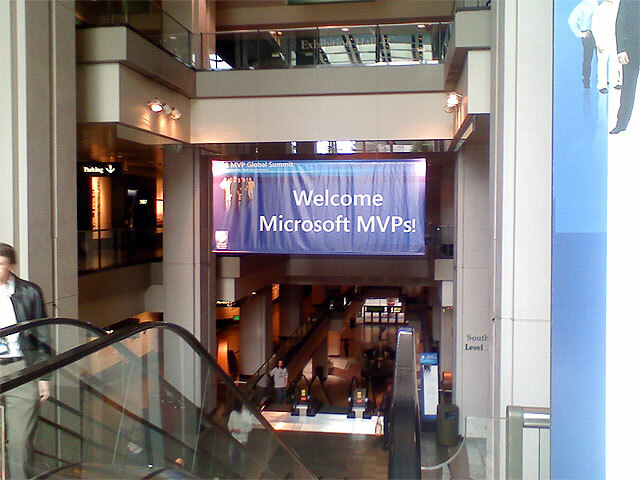 Whilst I've had the opportunity to listen to many of Micosoft's senior executives in other forums (Tech.Eds, Partner events etc), what is refreshing about the MVP Summit is that these executives will spend half an hour (or more) taking questions, without notice, from the floor. Whilst they are naturally guarded about the answers they can give (if press are present), we're still above to canvas a range of topics. And more than once a product has changed somewhat due to the questions or feedback given during these sessions. This Easter weekend, having a bit of downtime, I decided to convert my virtual infrastructure at home from VMWare Server to Hyper-V. The major blocking issue was a lack of RAID controller drivers from 3Ware for their 9650SE-series cards, but thanks to Justin Ho it seemed like I was good to go. 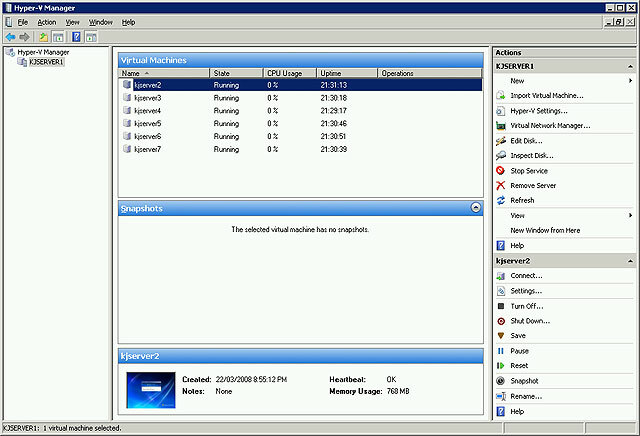 The timely release of Hyper-V RC0 meant that I could use an updated version of Hyper-V, and also install my Windows Server 2008 machine using my local en-au settings rather than en-us. Made a backup of all my virtual machines before I started! My VMWare machines were using SCSI disks connected to a SCSI controller. Unfortunately booting Hyper-V machines requires IDE disks at the moment. Since the IDE mass storage controller wasn’t set to start in my VMs, they Blue Screened with STOP 0x7B (Inaccessible_Boot_Device). I fixed this issue by inserting the OS setup CD and doing a repair on the OS. There appears to be an issue with guest OSes talking to a virtualised ISA Server when all the machines are using the new VMBus NICs and the NICs are connected to a Private or Internal Hyper-V network (the issue doesn't appear to manifest if the NICs are bridged to a physical NIC). Networking doesn't work to well, and when running ISA's monitoring tools, packets are missing. To fix this issue, I changed the NICs on my ISA Server that were connected to Private or Internal networks to using the Legacy (Intel 21140) NIC. Since ISA Server 2006 only runs on Windows Server x86, there are supplied Intel 21140 drivers on the Hyper-V Integration Services disc. Performance appears to be much snappier under Hyper-V compared to VMWare Server, especially with respect to Disk I/O. Additionally, I can now backup my virtual machines when running (well, I hope I can) using my new RD1000 device. Here's a useful little module I didn't know even existed, but it appears to have been added to the Microsoft download site in the past couple of days. It allows for bit rate throttling of common, supported, media files when served by IIS 7.0. IIS first sends the first twenty or so seconds of data at the fastest possible rate, and then streams the rest slowly. Full information on configuring this module is available on the http://learn.iis.net/ website. You can download the module from the Microsoft download site for x86 and x64. Today Microsoft released to the Microsoft download site WebDAV modules for Windows Server 2008 / IIS 7.0 in both x86 and x64 versions. These are also available from the www.iis.net website. Robert McMurray has written a page explaining how to configure the new WebDAV module. Well, the book is finally a reality. I received my copies today - yay! You can buy a copy from Amazon.com or your favourite bookstore now. Service Principal Names (SPNs) no longer need to be registered under the account that the web application pool is running under. Instead, in a default configuration you can run the web application pool under any account (custom user account, or LocalSystem, Local Service or Network Service) and register the SPN under the machine account in Active Directory. See this post for more details. Your web application pool does not need LocalSystem privileges to be able to perform protocol transition. You can do this using Network Service. If I find any more things, I'll add them to the list. There are two security patches out this month for IIS. The second (MS08-006) affects Windows XP (x86/x64) and Windows Server 2003, and is a remote code exploitation. 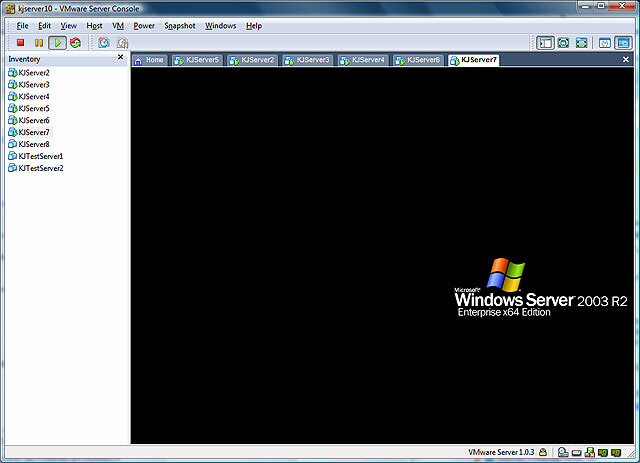 It does require that the ASP web service extension be enabled on Windows Server 2003. Whilst it's always disappointing to see new bugs in IIS, I think the overall record of IIS 6.0 has been very good. Since it's release in early 2003, we've seen only a handful of bugs that are directly IIS' fault (e.g. the previous ASP issue), and handful of bugs that can be exploited via IIS (e.g. the previous WebDAV issue). Overall, there are less than 5 bugs exploitable via IIS 6.0 - which is a great record especially when compared with IIS 5.0 and with its major competitors. 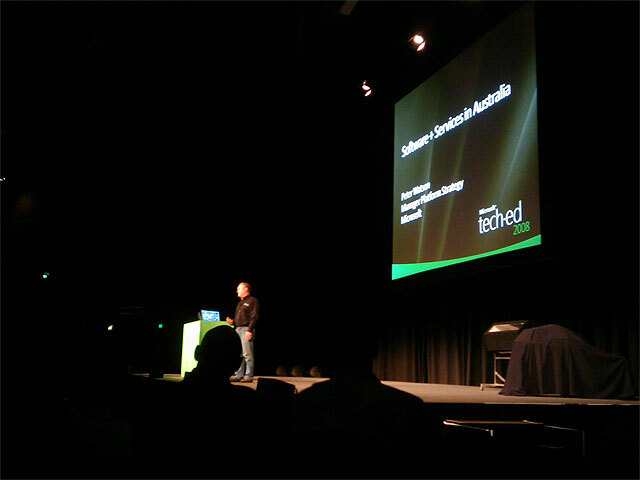 Windows Server 2003 SP1 introduces kernel mode SSL. 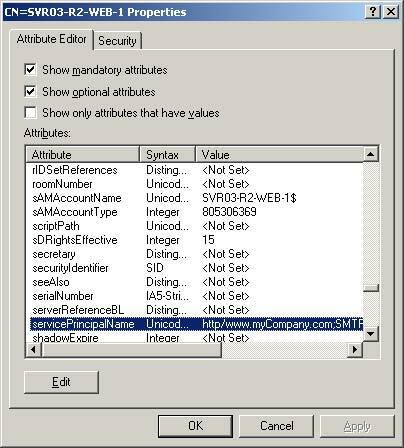 Windows Server 2008 takes this one step further and introduces kernel mode authentication. 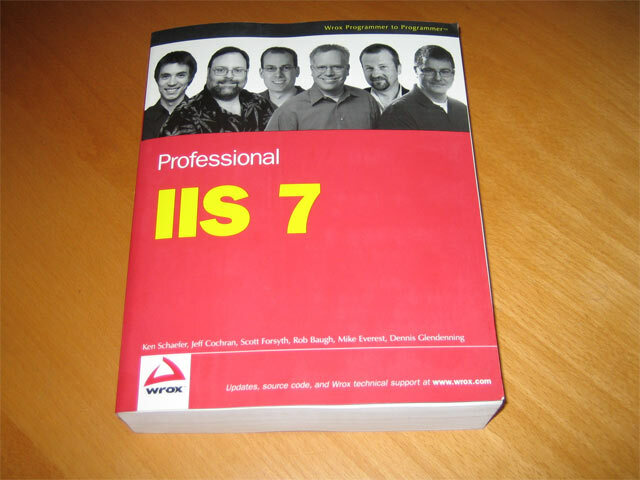 This can be utilised by IIS 7.0 applications to improve performance. It also has implications for Kerberos authentication and management of SPNs. Ensuring Kerberos AuthN for App1 wouldn’t be possible in IIS 6/5 (earlier versions were pre-Windows 2000 so didn’t support Kerberos). This was because SPNs are based on a FQDN and the SPN for http/website1.domain.com could only be registered under a single account (and not under the two different accounts that App Pool 1 and App Pool 2 are using). In Windows Server 2008 there is support for a new kernel mode authentication. I am supposing that this is implemented in ksecdd.sys, but it may be implemented elsewhere. When using kernel mode authentication, the service ticket is decrypted by the server (aka machine account), not by the user account that the web app pool is running under. 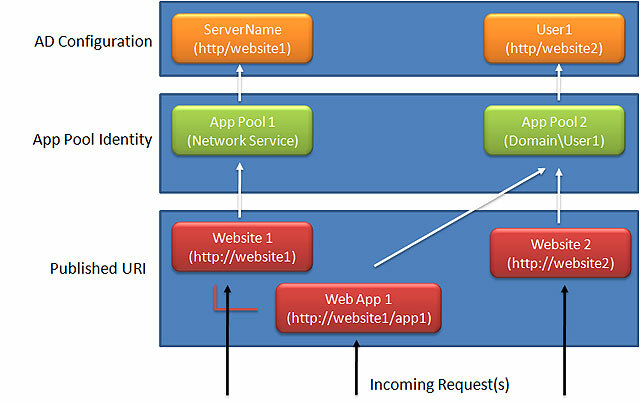 Run multiple web applications hosted at the same FQDN under web app pools that are, in turn, running under multiple Windows identities.